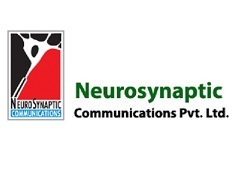 Neurosynaptics was founded to cater to the rural healthcare sector in India by enhancing the quality of primary healthcare through a telemedicine product solution. The company developed a device that records and transmits diagnostic data relating to heart and lung function, and allows video-conferencing at very low bandwidths in the range of 28 kbps. Two of Ventureast’s funds have invested in the company, with the Tenet Fund investing at seed stage, and the Biotechnology Venture Fund investing in the early-to-growth stage. Since investment, Ventureast has helped Neurosynaptics with their financial strategy and planning, in hiring senior management, in business development, in forging new partnerships, and in sourcing low-interest loans from government entities. The company was forging relationships between rural medical practitioners and city-based specialists to enable efficient consultations at rural points of care. It had the potential to provide value over the long-term by enhancing low-cost, high-quality healthcare while serving as a catchment area for city-based practices. The company’s product solution, which costed about one-tenth the price of a competing product, was validated by leading hospitals such as the Apollo Group, AIIMS and St. Johns. Ventureast fully exited from Neurosynaptics in 2013.